From the surfing waters of the North Shore to the bustling capital of Honolulu, Oahu is one of the most diverse and beautiful islands to visit. Known as “The Gathering Place,” this island is home to 85% of the Hawaiian population. With so many options for things to do on Oahu, it’s hard to know where to start. Will you spend the day hiking volcanic mountains or sunbathing on Hawaii’s famous beaches? And don’t forget about the many historic sites, museums, and restaurants! Organizing the perfect Hawaiian vacation can be overwhelming. Make your planning a little easier and download our complimentary Vacation Guide! It’s packed with ideas for things to do on Oahu, including events, dining options, and outdoor recreation. Get your copy today! With pristine beaches, crystal clear waters, and lush hiking trails, Oahu is one of the best places to enjoy the great outdoors. Be sure to take advantage of the many adventures that Oahu’s unique landscape offers when you visit. Here are some of our favorite ways to explore and lounge. When it comes to hiking, the islands of Hawaii are a top travel destination. Trek through well-worn trails or explore more secluded areas and discover the wonder of Oahu. Hike the short but steep descent to Diamond Head State Monument and stand amidst a massive crater created more than 300,000 years ago. From this unique vantage point, hikers have a beautiful bird’s eye view of Honolulu. Adventurous hikers can embark on a journey to the top of Mount Olomana, the tallest of three peaks along the Olomana Trail. Families looking for an easy hike can follow the paved trail to Makapu’u Lighthouse. This two-hour roundtrip hike rewards travelers with a view of the iconic red-roofed lighthouse constructed in 1909. Be sure to bring binoculars along to catch glimpses native Hawaiian birds or the exciting migration of humpback whales in the winter months. There are few places on Earth with beaches like Oahu. Spend the afternoon sunbathing on Lanikai Beach, named the No. 1 Beach in the World by CNN Traveler! Watch surfers from the shore of Sandy Beach on the South Shore. Have you always wanted to explore Waikiki Beach? Check out Kahanamoku, the widest stretch of Waikiki with calm waters and a five-acre lagoon to explore. A trip to Hawaii isn’t complete without trying one of the many watersports practiced on the islands. From surfing and paddleboarding to kayaking and parasailing, there is no shortage of things to do on Oahu. Hanauma Bay State Park is a favorite spot for snorkeling. Formed as a result of volcanic activity, the bay is protected from rough waves and is known for its high fish population. Swim over white sands and colorful coral reefs to discover beautiful tropical fish and peek into underwater caves. Hanauma Bay Nature Preserve offers tours through the bay with the option to explore the famous North Shore and Turtle Canyon. If you’re looking for things to do on Oahu with the whole family, a kayak trip is the perfect activity! Embark on a tour with Twogood Kayaks or Hawaiian Watersports and explore the beautiful beaches of Kailua and Lanikai. You’ll spot native marine animals like the Green Hawaiian Sea Turtle and Hawaiian Monk Seal while surrounded by the lush, majestic mountains of Oahu. With such a diverse population of people, Hawaiian cuisine spans many cultures. Seek out traditional Hawaiian dishes for a taste of the islands, or try a variety of ethnic restaurants. Here are a few eateries we recommend dining at. For a true Hawaiian fine dining experience, book a table at Senia. The restaurant has three different areas to eat: the main dining room, the chef’s counter, and a private area upstairs for groups of eight or more. Whether you choose to indulge in the chefs’ tasting menu or order a la carte, you will not be disappointed in the delectable cuisine! A native of Honolulu, chef Kajioka fuses his Japanese heritage with French culinary training, which is complemented by chef Rush’s experience as a European chef. Sit at the chef’s counter for a chance to chat up these talented cooks! If you opt for the main dining room, be sure to order the poke crackers and the charred cabbage with a glass of pineapple iced tea. This quaint, laid-back eatery is a staple of the local food scene. A recipient of the reputable James Beard Regional Classic Award, Helena’s Hawaiian Food serves up traditional Hawaiian eats in an assuming fashion. Choose from an eclectic, a la carte menu that includes Kalua pig, short ribs, poke, and butterfish collar. If you’re craving a little Mediterranean flair, this restaurant in Kailua will not disappoint. Offering traditional dishes like shawarma, hummus, and gyros, Yamas is praised for its high-quality Greek dishes. Make sure to save room for dessert and order the baklava! History abounds in Hawaii! For rainy days things to do on Oahu, check out the island’s many fascinating museums and historic sites. The Honolulu Museum of Art exhibits more than 50,000 works in a beautifully designed facility. Peruse the rotating art exhibits, watch a featured film in the Doris Duke Theatre, and take advantage of year-round events to enjoy all that the museum has to offer. Discover the rich, diverse culture of the Hawaiian Islands with a trip to the Polynesian Cultural Center. This interactive, education facility is made up of six replica islands, the Pacific Theater, and on-site restaurants. With four distinct sites, Pearl Harbor is best experienced as a whole day trip. Pay tribute to those affected by the events of December 7, 1941, at the silent and reflective USS Arizona memorial area. Then, climb aboard the USS Bowfin, a WWII attack submarine, and walk through the Pacific Aviation Museum. The year-round tropical climate of the Hawaiian Islands means there’s always a festival, party, or special event taking place! Here’s a short list of some of the best annual celebrations to get you started. Each year on May 1, this statewide holiday celebrates the lei, a Hawaiian symbol of affection and peace. Every island has a specific colored lei worn throughout the day-long events. The festival on Oahu features live music, a lei contest exhibit, and the much-anticipated ceremony for the Lei Queen. In Hawaii, the Chinese New Year is observed from the middle of January through the middle of February. Oahu’s Chinatown is the hub of the celebration with parades, music and dance performances, traditional Chinese cuisine, and even Kung-fu exhibitions. The Aloha Festivals are month-long events and demonstrations celebrating the vibrant culture of Hawaii. Festivities are held in September across all of the islands, with plenty of things to enjoy on Oahu, including a colorful floral parade. There are an endless number of things to do on Oahu! For a complete guide to the best restaurants, outdoor activities, historic sites, museums, and local festivals and events, download our complimentary Vacation Guide. It will make your trip planning so much easier! 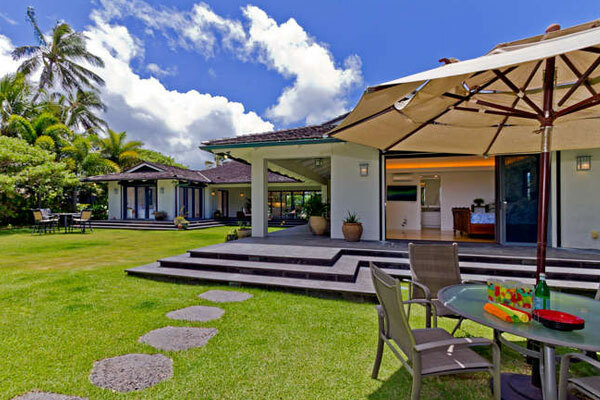 After you’ve enjoyed all that Oahu has to offer, relax in one of our luxury vacation rentals. 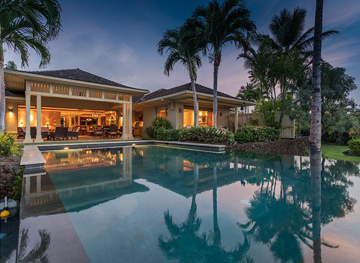 Stay right on the sand in our Kailuana Beachfront Estate, Place in Paradise, or the Walker Beach House in Lanikai. Check our availability and book your stay today. We can’t wait to make your Hawaiian getaway a memorable one!